Did you know that over 500 Million plastic straws are used and thrown away every day? Disposable plastic waste is an issue that is having a serious effect on our oceans and sea life. At current rates of consumption it’s estimated that by 2050 there will be more plastic in the ocean by weight than fish! The single use plastic straw in your cocktail or coffee will be on this planet forever. The US and Uk toss nearly 550 million plastic straws PER DAY! Very little is recycled, and much ends up in the ocean. A healthy ocean provides resilience to climate change. But we believe we can make a change and help do something about it! As a venue we have taken steps to stop using plastic straws in service, in an effort to reduce the amount of plastic waste we produce. 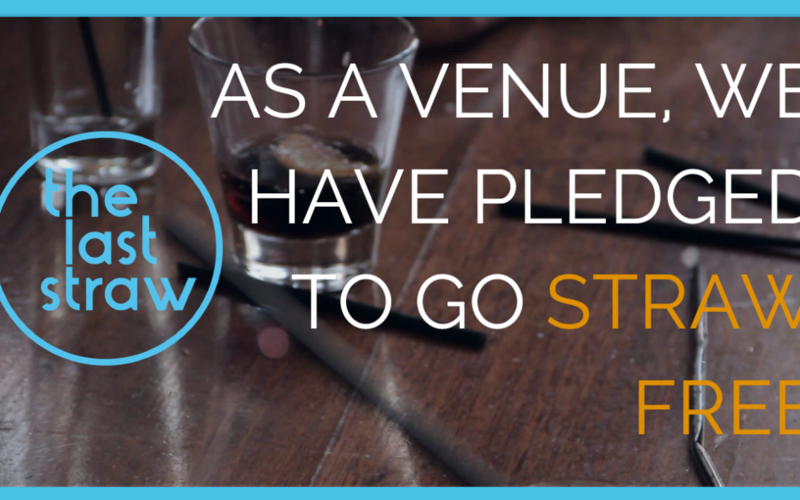 We hope you can support our cause and enjoy your drink without one next time you join us! This initiative is one that is close to the team here at the Peppercorn, and this program was suggested by one of our team members. We are doing what we can in all areas reducing our use of plastic as much as possible. As we still have a few plastic straws left over, if you have trouble drinking without a straw please let us know and we will provide one for you. Once these are finished we will have some paper straws available for those who need one. We are also a member of the Yea Cittaslow group and are advocated of all environmental initiatives. If you have suggestions of other programs or initiatives we are all ears! !